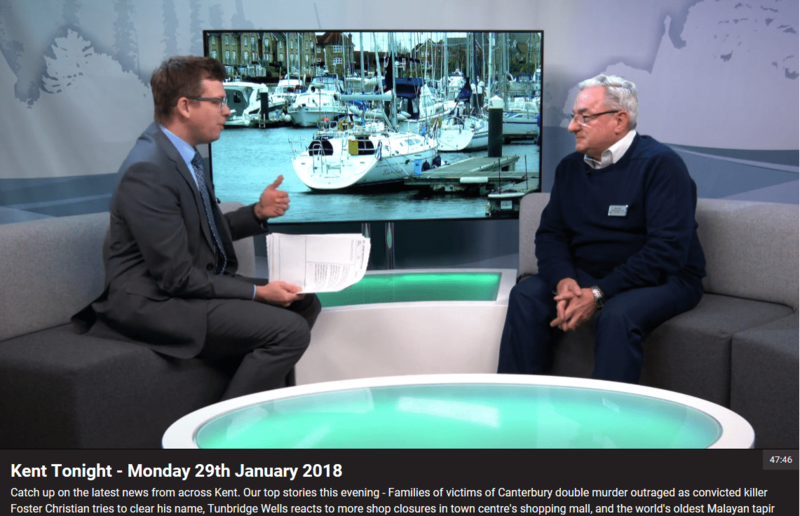 MSBA committee member Peter Norris, MD of Clarke and Carter Kent, was interviewed on Monday by Kent Tonight. He set out the economic importance of boating to the economy, explaining that the pastime is not just for the wealthy as many suppose. To see the interview, click on the link below and start viewing at about 27 minutes in. 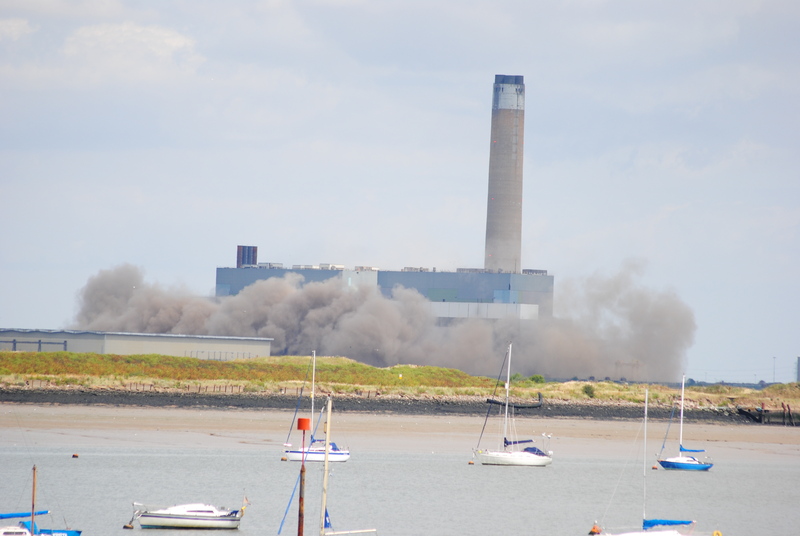 A date has now been fixed for demolition of Kingsnorth Power Station’s 650 ft chimney. It is expected to come down at 10 am on 8 March 2018. This photo, by the late Trevor Peen, shows the boiler houses being blown up in July 2015. Some excellent news from the Medway River Users Association: The Environment Agency has announced that the proposals from the Canals and Rivers Trust to take over the running and responsibility for the Medway, Thames and Anglia have been rejected. So for now the EA will continue to manage the navigation of the non-tidal Medway for the foreseeable future. 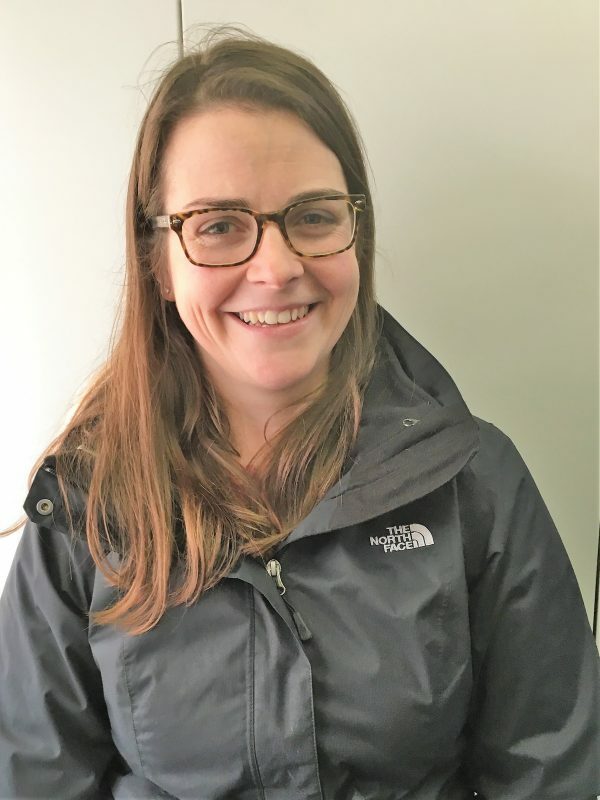 Queenborough Harbour Trust is delighted to introduce to you our new Harbour Manager, Emma Crompton. Emma comes to us with over ten years’ experience of the marine industry, working in various sectors and is also a crew member within the RNLI. Emma is very excited about taking this position and looks forward to meeting our mooring holders and visitors and contribute to the continued development of Queenborough Harbour. Please sign up to the petition before it closes in March, and also inspire people of goodwill to work with the CA to find a solution to the problem. Full details of all the CA’s news on this petition can be found here. If you do have an incident with poorly marked fishing gear please remember to report it to the RYA here. Such evidence is vital to the campaign. Michael Farnham will be giving an illustrated talk on the history of sailing barges and barge yards on the Medway and Thames estuaries. Yesterday afternoon high winds and a very high tide combined to cause considerable damage to the walkway. One of the supporting floats close to the security gate broke free causing a section of the walkway to collapse. Temporary repairs have been carried out, but access is very dangerous. If you really must use the walkway, this is only possible at low water, with the floats aground. Please proceed with extreme caution 1 person at a time. Many planks are loose, some are missing and many others are a significant trip hazard. Access at high water or anytime when the floats are lifted with the tide is not possible. We apologise for the inconvenience and we are doing everything possible to have the walkway back in use as soon as we can. UPDATE 30 Jan 2018: Emma, the new Harbour Manager, has advised us yesterday that the walkway has been open again for some time. 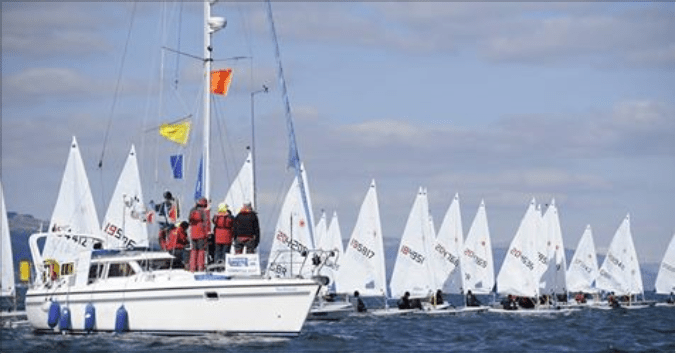 For the 4th year in a row Queenborough Harbour Trust is extending the trot boat cover during the summer months. In addition to our usual service, this year we will be running our trot boat every day in May, this means the trot boat will be available every day from 1 May to 31 Aug, as well as every weekend. However, due to lack of demand, we have reduced our operating hours in October as we simply cannot justify the expense of providing cover late into the evening during October when demand is virtually nil. We believe the extended summer cover will far outweigh the reduction in October cover.